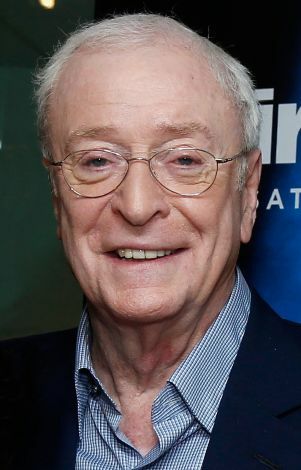 Icon of British cool in the 1960s, leading action star in the late '70s, and knighted into official respectability in 1993, Michael Caine has enjoyed a long, varied, and enviably prolific career. Although he played a part in some notable cinematic failures, particularly during the 1980s, Caine remains one of the most established performers in the business, serving as a role model for actors and filmmakers young and old. The son of a fish-porter father and a charwoman mother, Caine's beginnings were less than glamorous. Born Maurice Micklewhite in 1943, in the squalid South London neighborhood of Bermondsey, Caine got his first taste of the world beyond when he was evacuated to the countryside during World War II. A misfit in school, the military (he served during the Korean War), and the job pool, Caine found acceptance after answering a want ad for an assistant stage manager at the Horsham Repertory Company. Already star struck thanks to incessant filmgoing, Caine naturally took to acting, even though the life of a British regional actor was one step away from abject poverty. Changing his last name from Micklewhite to Caine in tribute to one of his favorite movies, The Caine Mutiny (1954), the actor toiled in obscurity in unbilled film bits and TV walk-ons from 1956 through 1962, occasionally obtaining leads on a TV series based on the Edgar Wallace mysteries. Caine's big break occurred in 1963, when he was cast in a leading role in the epic, star-studded historical adventure film Zulu. Suddenly finding himself bearing a modicum of importance in the British film industry, the actor next played Harry Palmer, the bespectacled, iconoclastic secret agent protagonist of The Ipcress File (1965); he would go on to reprise the role in two more films, Funeral in Berlin (1966) and The Billion Dollar Brain (1967). After 12 years of obscure and unappreciated work, Caine was glibly hailed as an "overnight star," and with the success of The Ipcress Files, advanced to a new role as a major industry player. He went on to gain international fame in his next film, Alfie (1966), in which he played the title character, a gleefully cheeky, womanizing cockney lad. For his portrayal of Alfie, Caine was rewarded with a Golden Globe award and an Oscar nomination. One of the most popular action stars of the late '60s and early '70s, Caine had leading roles in films such as the classic 1969 action comedy The Italian Job (considered by many to be the celluloid manifestation of all that was hip in Britain at the time); Joseph L. Manckiewic's Sleuth (1972), in which he starred opposite Laurence Olivier and won his second Oscar nomination; and The Man Who Would Be King (1976), which cast him alongside Sean Connery. 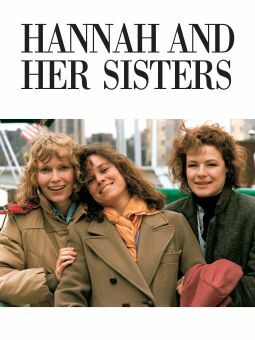 During the 1980s, Caine gained additional acclaim with an Oscar nomination for Educating Rita (1983) and a 1986 Best Supporting Actor Oscar for Hannah and Her Sisters. He had a dastardly turn as an underworld kingpin in Neil Jordan's small but fervently praised Mona Lisa, and two years later once again proved his comic talents with the hit comedy Dirty Rotten Scoundrels, in which he and Steve Martin starred as scheming con artists. Although Caine was no less prolific during the 1990s, his career began to falter with a series of lackluster films. Among the disappointments were Steven Seagal's environmental action flick On Deadly Ground (1994) and Blood and Wine, a 1996 thriller in which he starred with Jack Nicholson and Judy Davis. In the late '90s, Caine began to rebound, appearing in the acclaimed independent film Little Voice (1998), for which he won a Golden Globe for his portrayal of a seedy talent agent. In addition, Caine -- or Sir Michael, as he was called after receiving his knighthood in 2000 -- got a new audience through his television work, starring in the 1997 miniseries Mandela and de Klerk. The actor, who was ranked 55 in Empire Magazine's 1997 Top 100 Actors of All Time list, also kept busy as the co-owner of a successful London restaurant, and enjoyed a new wave of appreciation from younger filmmakers who praised him as the film industry's enduring model of British cool. This appreciation was further evidenced in 2000, when Caine was honored with a Best Supporting Actor Academy Award for his portrayal of an abortionist in The Cider House Rules. After launching the new millennium with both a revitalized career momentum and newfound popularity among fans who were too young to appreciate his early efforts, Caine once again scored a hit with the art-house circuit as the torturous Dr Royer-Collard in director Phillip Kaufman's Quills. Later paid homage by Hollywood icon Sylvester Stallone when the muscle-bound actor stepped into Caine's well-worn shoes for a remake of Get Carter (in which Caine also appeared in a minor role) the actor would gain positive notice the following year for his turn as a friend attempting to keep a promise in Last Orders. As if the Get Carter remake wasn't enought to emphasize Caine's coolness to a new generation of moviegoers, his turn as bespectacled super-spy Austin Powers' father in Austin Powers in Goldfinger proved that even years beyond The Italian Job Caine was still at the top of his game. Moving seamlessly from kitsch to stirring drama, Caine's role in 2002's The Quiet American earned the actor not only some of the best reviews of his later career, but another Oscar nomination as well. Caine had long demonstrated an unusual versatility that made him a cult favorite with popular and arthouse audiences, but as the decade wore on, he demonstrated more box-office savvy by pursuing increasingly lucrative audience pleasers, almost exclusively for a period of time. The thesp first resusciated the triumph of his Muppet role with a brief return to family-friendly material in Disney's Secondhand Lions, alongside screen legend Robert Duvall (Tender Mercies, The Apostle). The two play quirky great-uncles to a maladjusted adolescent boy (Haley Joel Osment), who take the child for the summer as a guest on their Texas ranch. The film elicited mediocre reviews (Carrie Rickey termed it "edgeless as a marshmallow and twice as syrupy") but scored with ticket buyers during its initial fall 2003 run. Caine then co-starred with Christopher Walken and Josh Lucas in the family issues drama Around the Bend (2004). In 2005, perhaps cued by the bankability of Goldfinger and Lions, Caine landed a couple of additional turns in Hollywood A-listers. In that year's Nicole Kidman/Will Ferrell starrer Bewitched, he plays Nigel Bigelow, Kidman's ever philandering warlock father. Even as critics wrote the vehicle off as a turkey, audiences didn't listen, and it did outstanding business, doubtless helped by the weight of old pros Caine and Shirley Maclaine. 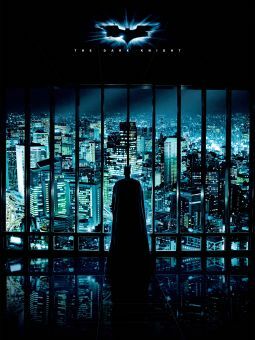 That same year's franchise prequel Batman Begins not only grossed dollar one, but handed Caine some of his most favorable notices to date, as he inherited the role of Bruce Wayne's butler, a role he would return to in both of the film's sequels, The Dark Knight and The Dark Knight Rises. 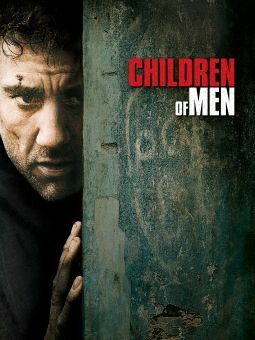 Caine contributed an elegiac portrayal to Gore Verbinski's quirky late 2005 character drama The Weatherman, as Robert Spritz, the novelist father of Nic Cage's David Spritz, who casts a giant shadow over the young man. In 2006, Caine joined the cast of the esteemed Alfonso Cuaron's dystopian sci-fi drama Children of Men, and lent a supporting role to Memento helmer Christopher Nolan's psychological thriller The Prestige. In 2009 Caine starred as the title character in Harry Brown, a thriller about a senior citizen vigilante, and the next year worked with Nolan yet again on the mind-bending Inception. Saw combat duty in Korea as a member of the Royal Fusiliers. Got his start in acting with a job as an assistant stage manager at the Horsham Repertory Company. Used stage name of Michael Scott until he discovered it was already taken by another actor; switched to Michael Caine while looking at a movie poster for The Caine Mutiny. Wife Shakira was a runner-up for Miss Universe. Knighted by Queen Elizabeth II in 2000. In 2007, released a mix CD of his favorite chill-out songs called Cained. Was made a commander of Arts and Letters by France's culture minister in 2011. Has owned multiple restaurants in London, as well as one in Miami. Author of several books of trivia and autobiographies, in addition to a book on acting. Supports Fields in Trust (formerly known as the National Playing Fields Association) and donated the proceeds from his trivia books to the organization. Is a fan of the Chelsea Football Club.